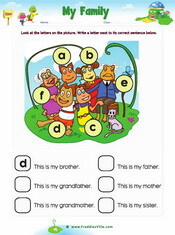 Give students more practice on family members vocabulary and related sentences. You will find tracing worksheets, crossword puzzles, word search puzzles, matching exercises and more. Sentences used include: This is my father. 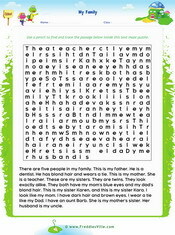 This is a fun way to practice reading comprehension on the topic of family members.